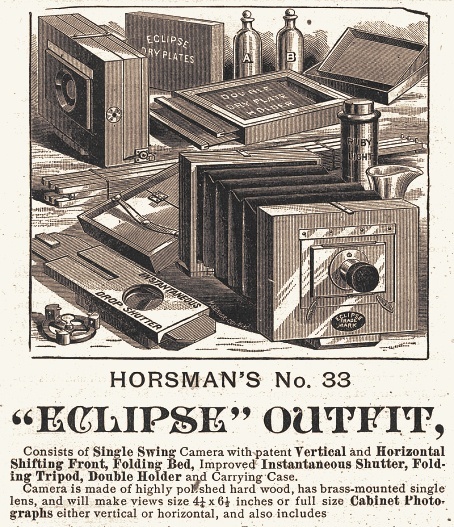 Horsman cameras were sold as "outfits" that included everything needed to immediately take and process pictures. 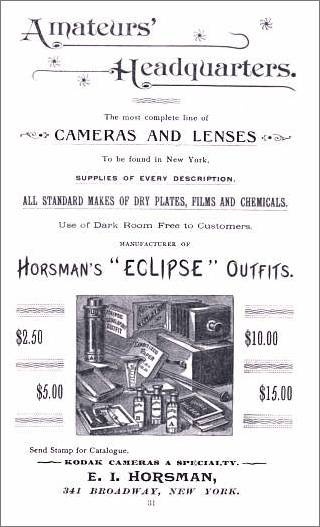 Amateur camera outfits were created as an inexpensive way to introduce photography to beginners and students. 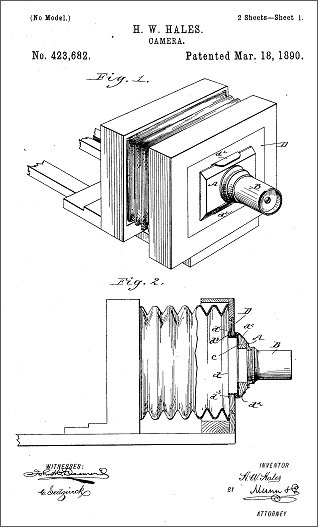 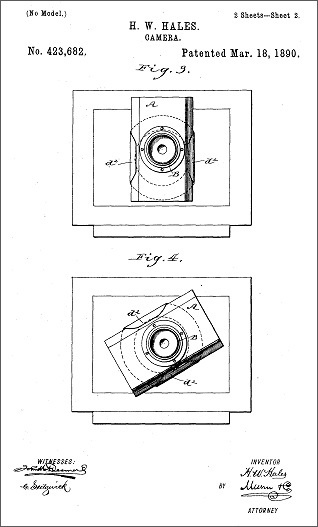 H. W. Hales patent of 1890 for the rotating and shifting lens board described as; a "'universal front', whereby the lens may be readily adjusted in any direction-horizontally, vertically, or at any angle-to bring the image properly upon the plate."